Another useful mug from the range illustrated by Caroline Dadd for Dunoon designed to educate and astound you with unusual facts and figures! 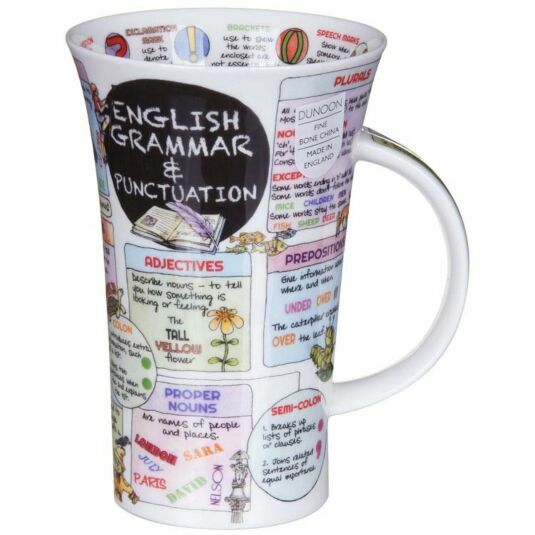 This is the perfect mug for an English teacher, and, equally, would be helpful to someone who struggles with grammar. 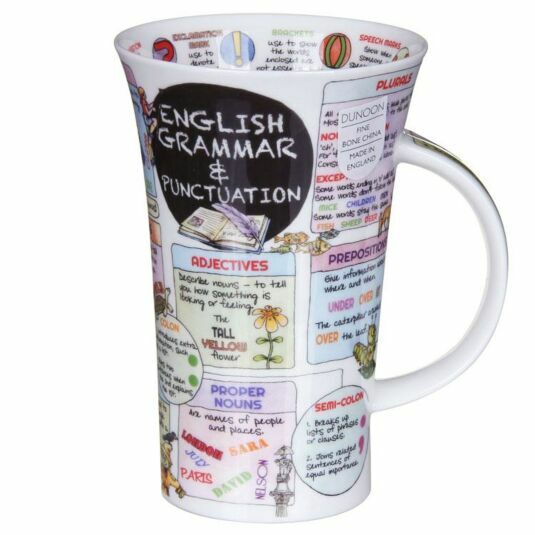 The tall mug has plenty of space to display helpful tips and hints regarding the English language, including plurals, prepositions and general punctuation. A talking point on any kitchen table!